For this medical practice we created a clean, straightforward and informative site to fit the client’s professional aesthetic. We’ve incorporated numerous updates as the practice has augmented its staff and broadened its services. 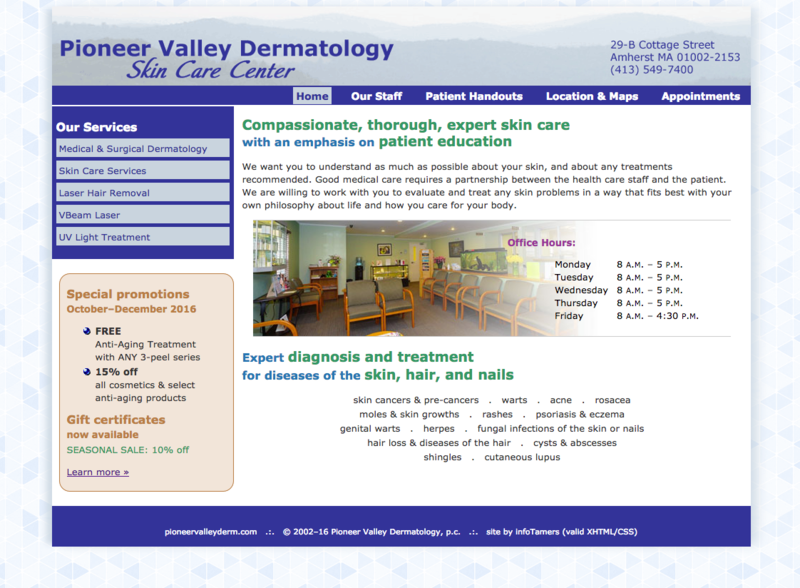 Patients can find online versions of any paper handouts they’ve received at the office, and learn more about the various laser treatments or aesthetician services that may be right for them.